Dr. Stephanie S. Pierce is an Assistant Professor of Clinical Nursing and Program Director of the accelerated (CARE) BSN Program and the Nurse Educator MSN Program at Louisiana State University Health Science Center (LSUHSC) School of Nursing in New Orleans, Louisiana. She received her undergraduate BSN from William Carey College, her Master of Nursing specializing in nursing administration from LSUHSC and her Doctor of Philosophy (PhD) degree from Capella University specializing in leadership for higher education. She is certified as a Nursing Educator through the NLN. Dr. Pierce began teaching at LSUHSC School of Nursing in January 2000. 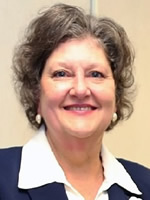 Presently Dr. Pierce serves the New Orleans District Nurses Association as Bylaws Chairperson, the Louisiana State Nurses Association as Education Council Chairperson and the American Nurses Association on the Ethics Task Force Advisory Committee. Danna, D., Pierce, S., Schaubhut, R., & Bennett, M. (2013). An innovative approach by one nursing school: Educating nurses to provide culturally competent care during disasters. Nash, T., & Moore C. (2005). Prevalence of Asthma and Asthma-Like Symptoms in Inner-City Schoolchildren. Journal of Asthma, 1, 9-16. Academic-Practice Partnerships. A School of Nursing Clinic Partnership. Southern Excellence in Research Conference. Woman's Hopsital. 2013. Providing Effective Written Feedback. LSUHSC Back to Basics Summer Teaching Institute. LSUHSC. 2013. Using Feedback and Coaching to Enhance Learning. Back to Basics Summer Teaching Institute. LSUHSC. 2013. Cornerstone of Cultural Competency in the Disaster Cycle. Program Overview. Multiple Sites 2012-2013. Cornerstone of Cultural Competency in the Disaster Cycle. Train the trainer program. June 27, 2012.LSUHSC School of Nursing. Center for Emergency Preparedness and Disaster Response. Poster Presentation. November 13- 15, 2011. 2011 SREB Council on Collegiate Education for Nursing Annual Meeting in Atlanta GA.
Providing a Clearer Vision: The Preventative Impact of Nursing Students Partnering with Community Schools . Oral and poster presentation. April 18, 2009 – April 19, 2009. Global Health and Innovation Summit at Yale University. Unite for Sight. Interdisciplinary Approach to Preparing Baccalaureate Students to Home Health Clinical Experiences. Oral and poster presentation. January 5-6, 2009 Mosby’s Faculty Development Institute in Orlando Florida. Using the Human Patient Simulation to Teach Pathophysiology in the Career Alternative Registered Nurse Education (CARE) Program. Oral and poster presentation Fall research day sponsored by LSUHSC School of Nursing, Fall 2007. Razoo Health: A Community-Based Nursing Education Initiative. Oral presentation at the workshop entitled, “Empowering Community Partnerships” sponsored by Delgado Community College the McFarland Institute, and Health New Orleans, New Orleans, LA, May 15, 2003. Razoo Health: A Community-Based Nursing Education Initiative. A panel presentation at the workshop entitled, “An Apple a Day: Preventive Strategies in Maternal Child Health” sponsored by the Louisiana Perinatal/MCH Foundation Conference, Baton Rouge, LA, March 28, 2003. Razoo Health: A Community-Based Nursing Education Initiative. A panel presentation at the workshop entitled, “Empowering Community Good Health” sponsored by the Gulf South Summit on Service Learning, Gulfport, MS, February 21, 2003. Learning the Essentials of Nurse Case Management and Demonstration of Asthma Devices. Lectures at the School-Based Asthma Nurse Case Management Seminar sponsored by Louisiana State Office of Public Health, New Orleans, LA, August 9, 2001. Asthma Prevalence in an Elementary and Middle School Inner City Population in New Orleans. Poster presentation at the Louisiana State University Health Sciences Center Pediatric Research Day, New Orleans, LA, May 18, 2001.